Hoe hoe grow: "And today we have naming of parts..."
I don't think it a bit odd to name the different areas of the garden. The names of my different garden areas are of most of the markers in the bed. Blackberry border. Screen house bed, oval garden, apple tree bed (even tho the apple tree is long gone, the veggie garden is in the forgotten corner. There is the compost corner. I could go on. 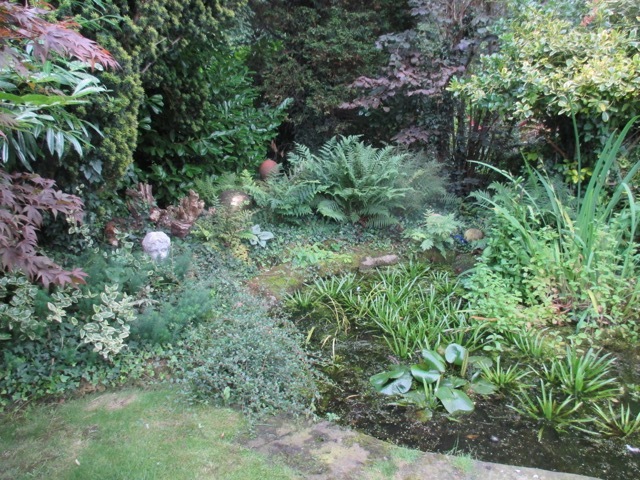 My garden is quite small but there is a particular attention to many areas. Good to know I am not alone ! 'Screen house bed' sounds interesting ... ! 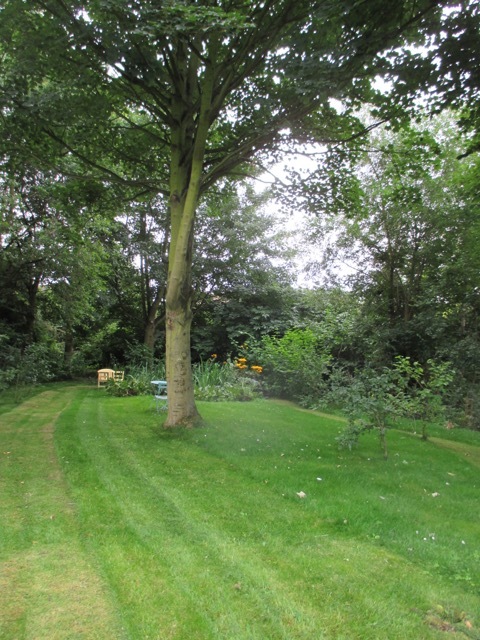 I do have names for different parts of the garden, we have a Green & White garden which is a bit pretentious and a never ending woodland walk, which is a bit tongue in cheek, it is a circular walk past six trees! Your dogs are lucky to have such wonderful garden. In Monty's defence his names are relevant to him, he once had a jewellery business and he does write books. 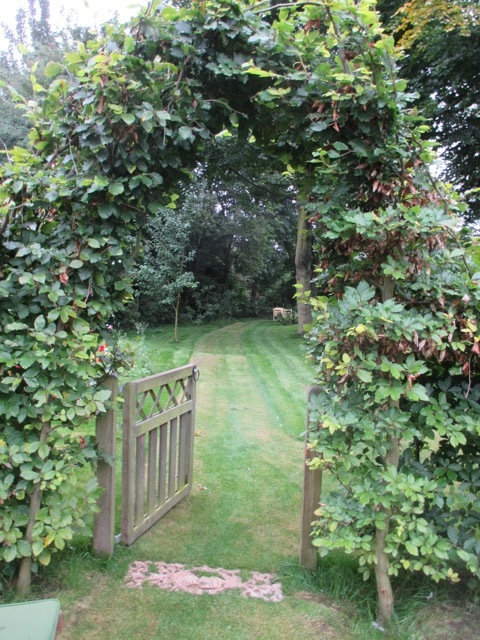 Love the idea of the never ending woodland walk, Brian ! I guess the names Monty has for garden areas are very pertinent to his life. Well, I do have the Precipitous Bank which I believe is self explanatory. And the terraces, ditto. I doubt Monty has a Cesspit Bed as I do (the bed remains but its namesake is long gone). If he does he never mentions it. 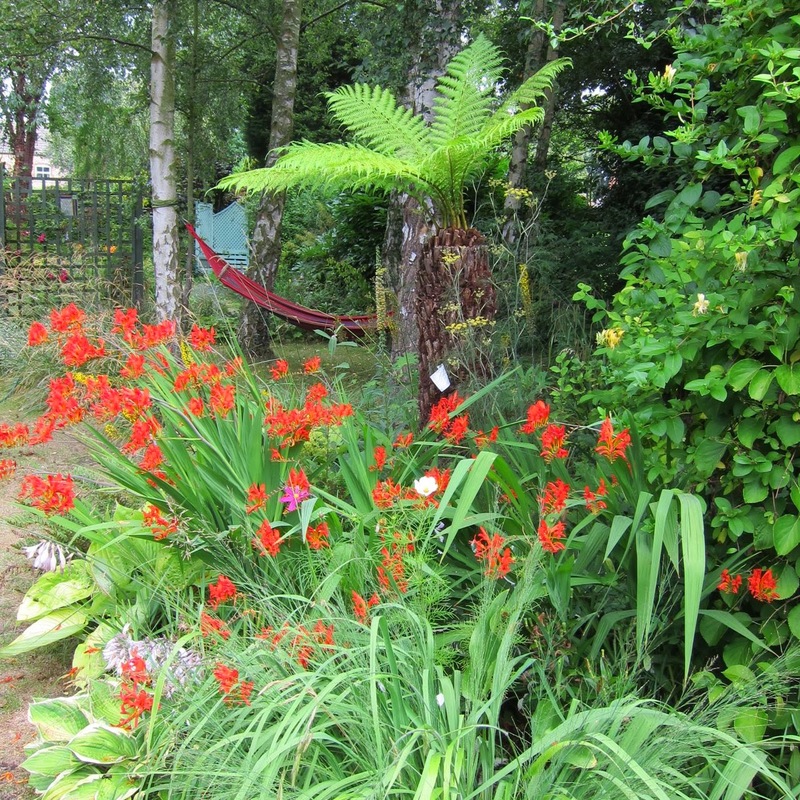 I'm impressed with the Sciatica Garden I have to say, I was trying to think where I'd put one but it might be easier just to rename the whole plot Sciatica Cottage and be done with it. Hi Jessica. Loving the Cesspit garden. We also had the Dark Alley which has long since gone, but I did quite like it ! It was neither dark nor an alley! Dear Jane, I actually really like naming parts of the garden in my own yard but also when people refer to certain parts of their garden with a name on their blogs. I think, there is something sweet and personal about naming parts of your garden, like giving a person a loving nick name. 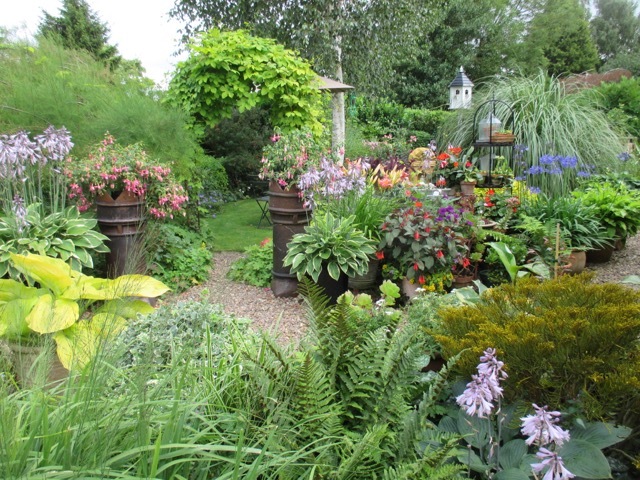 And there is, of course, the practical aspect, giving a name to a garden part to refer to it easier without long descriptions like you explained so properly in your post. Other than you I like Monty Don's garden names. Writing Garden and Jewel Garden don't sound pretentious to me, but simply loving and and romantic. 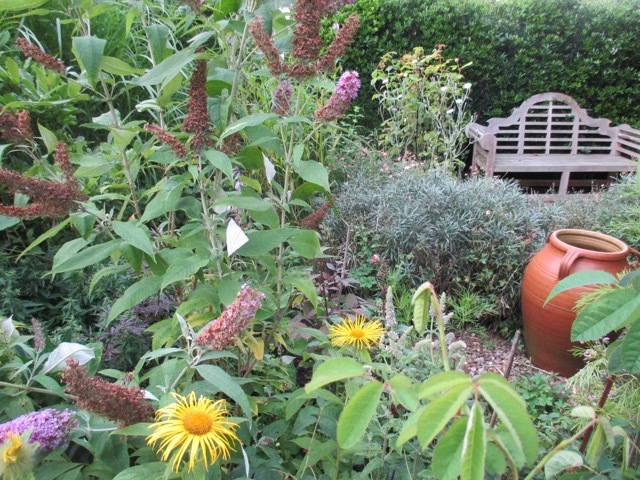 What ever the names of your gardens are one thing is for sure, you have a darn pretty autumn garden. So charming, colorful and so well taken care off. 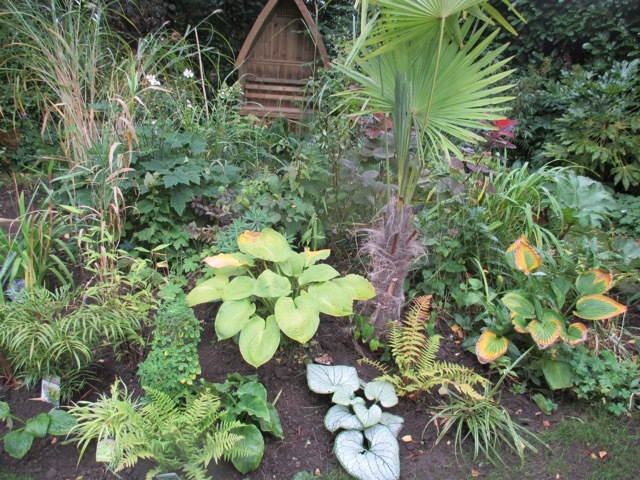 I like the changes that you have made to the Bus Shelter Garden and I am anxious to see how you will continue to make this part look even more tropical. 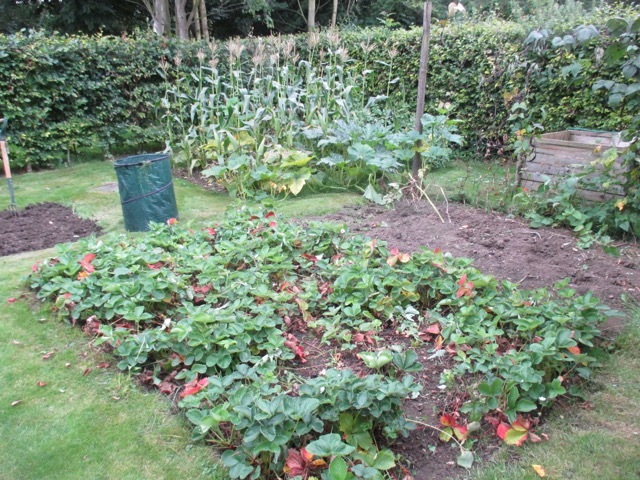 Hopefully we all get some very nice autumn days where gardening is just a pleasure :-). Hi Christina, I know what you mean about people's names for parts of their garden - it can be quite a personal, almost intimate thing, as I guess they are not usually shared with others beyond the family. 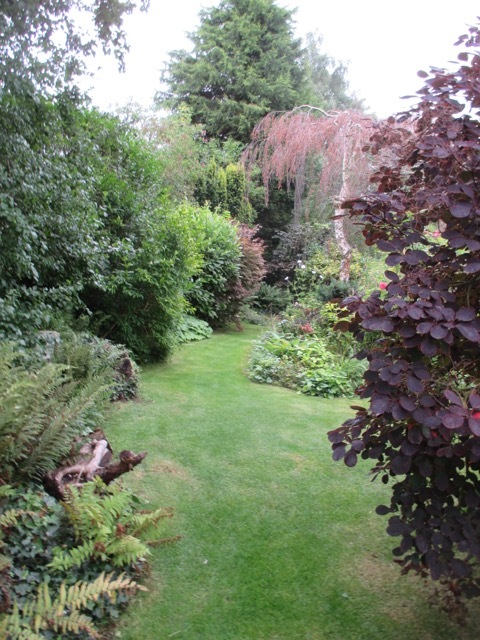 Thank you for your kind comments about the garden. 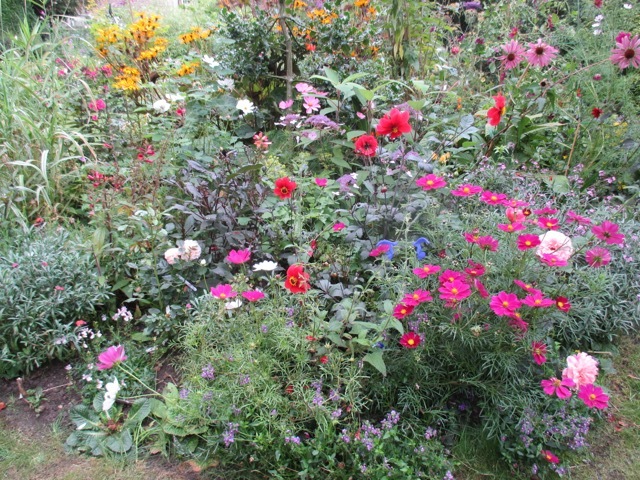 Hi Plantpostings - I haven't really got an orchard ... I wish! I have about half a dozen baby fruit trees and that is it ! 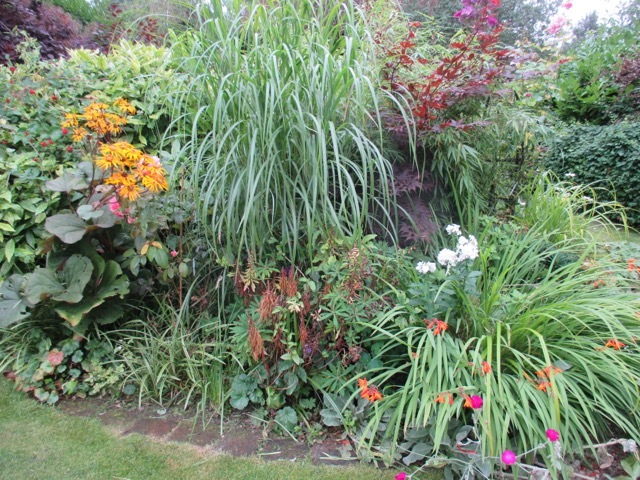 I also have names for different garden parts, as the ´upper garden´ and the ´lower garden´, the ´bog garden´ and the ´henhouse´garden, where used to be a henhouse, but that has gone. I´m really impressed by your great autumngarden, so many beautiful and different parts, I loved to watch it. Hi Janneke, thank you for your comments. 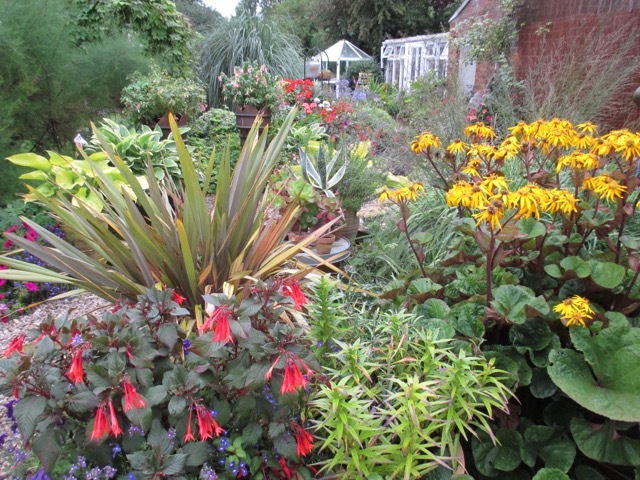 I love the 'henhouse' garden, where there is no henhouse ! I am realising I am not alone with these names ! Our garden is a fraction of the size of yours and we have names for the different parts. Some are tongue in cheek such as the cold frame courtyard which isn't a courtyard at all. Then we have the more descriptive names such as the puddle pond and the pebble garden. I started to give the areas names when I wanted to describe the different parts on my website needed titles for the pages. Practical yes. Pretentious certainly not! Hi Sue, loving your invisible courtyard! I agree that once you start blogging you need to be able to give precise garden locations, and names as a hook to hang it all on! I'm glad these names seem to be viewed as practical rather than pretentious ! 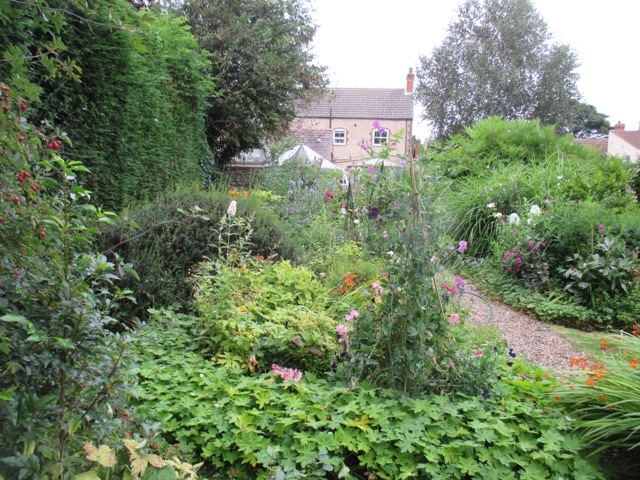 Funnily enough, I never thought to name parts of the garden until I noticed it widely used by garden bloggers (as well as Monty Don of course). It certainly made things easier for my own Garden Journal. I love your garden; it looks very lush and inviting. Thanks for your comments Alison. What names do you use ? We are collecting some lovely ones in everyone's comments! Hah! My naming follows the same philosophy as yours seems to, so I have the Park border, the Fence border the Back border etc... I do think the Silver Birch Bed is likely to remain so long after the logs have been burnt, in much the same way as you come across Church Street without any signs of a Church. But I am determined to re-name "oil tank corner" since the council took said oil tank away yesterday and I have no wish to remember it... I fear you may be stuck with Sub Trop, since in my experience once you start using a name you tend to find it impossible to change it. I have friends whose son has changed his name, they - and we - struggle to remember even though we support his desire for a name that feels better to him. Hi Janet, I think 'Oil Tanker corner' sounds very romantic!! Bet it's as hard to shake off as the 'Sub trop'!! We have names for different areas and borders, just so that my husband knows where to bring the coffee or tea! Ha ha ha Pauline - what better reason could there be ... other than a glass of wine perhaps! I'm still struggling with a name for our little farm. The previous incarnation, Blue Moon is still in my email address but can I keep using the same name as some people do for their dogs? My family is very opinionated about my brilliant flashes of inspiration and not in a nice way, ungrateful wretches. I feel they have to at least mildly like it to ensure its usage. Still, dreaming up outrageous suggestions is a fine way to spend a winter evening. Hi Susan - the more outrageous the better! Much more memorable that way! Hi Rick, lucky you to have a 'front' ! We are straight on to the road, as was the tradition when the house was built, so we only have a 'back'! 'And the almond blossom silent in all of the garden and the bees going backwards and forwards, for today, we have naming of parts' , I love this poem and I loved reading this post. You made me chuckle. 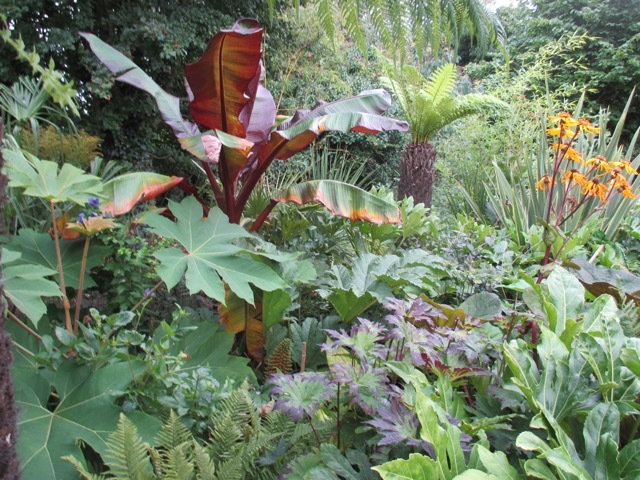 I agree I always cringe a bit when Monty talks about his jewel garden. But the naming of parts is important. 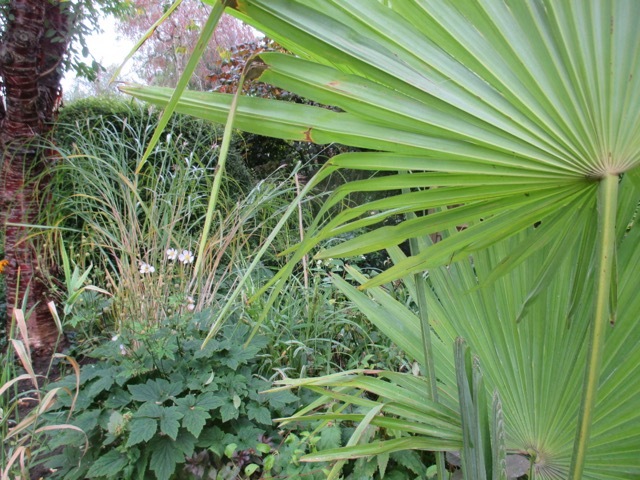 I haven' t got names for the parts of my garden because there is no one to share them with. For the Pianist, ' grass, not grass' is as technical as we can get, so its no good talking about the jewel bed or anything else. 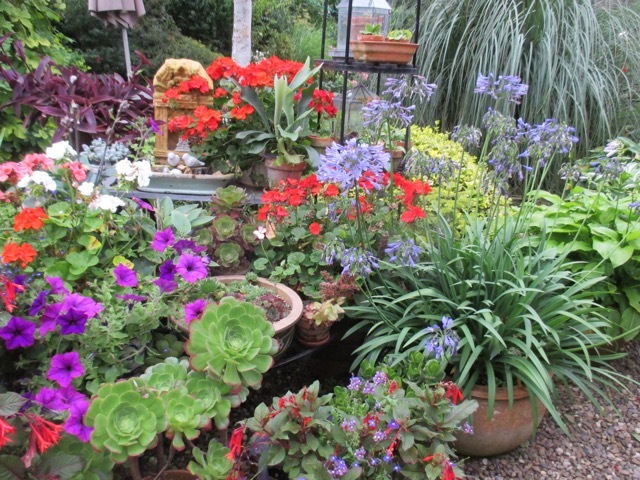 I love the photos and having another look at your garden. The sub. trop big is coming on very well. I wondered if it would resonate with anyone - so pleased it did. My mum loved the poem too and used to quote it so it is now part of my DNA. I love your naming of parts, with 'grass' and 'Not grass' , and hope that it prevents many an unfortunate incident! I had a section of my garden that for years was referred to as the Bed of Death and Misery because it was so dry and shady that everything I put there died. I finally solved that problem and now just refer to it as the Dog Run garden because it's by the dog run. All of my garden has names for the different area but they all refer to a physical marker in the area. It's the only way to keep everything straight. You could refer to the new area as Tahiti. That sounds pretty tropical to me! Hi Tammy, I had to laugh at your 'Bed of Death and Misery' ! I share your pain! Liking 'Tahiti' as a name for our new bit, and liking the way it could be casually dropped into conversations, for example, 'When I was in Tahiti last week ...' !! You have some swell names and the only thing I would find pretentious would be calling them pretentious. As you point out, it's helpful to let your mate know you'll be down at the Dog Run Garden before disappearing for a few hours, lost in gardening. Our only fun name is Delusional Drive. The others are purely practical, but maybe we need to put our minds to coming up with something more imaginative. Love the "Tahiti" idea... always a vacation round the corner, so to speak! I'm looking forward to seeing the changes you'll make. I'm reworking one of my barely begun beds seriously, but it doesn't much affect the names as I've simply been calling them South (or East or North) Borders. Too unimaginative? It does, at least, help me keep track of the cardinal directions...! You are making me wonder whether some of my failings in my earlier garden might have been due to a lack of names... who knows? !